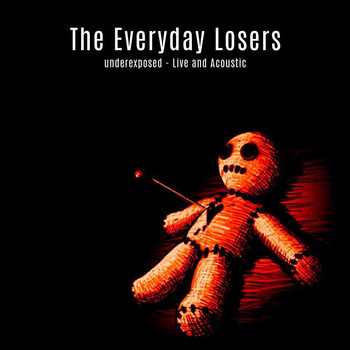 Indiana based The Everyday Losers have released a new 6 track EP ‘Underexposed – Live and Acoustic’ via Dead Industry Records and which marks a change in direction for this Hard Rock band, who have previously shared the stage with Black Stone Cherry, Saliva and Smile Empty Soul. Although the EP features favourite songs such as ‘Hate You’ and ‘Outta My Head’ along with a new track ‘Dead to Me’ which was featured live on their previous tours, the band have gone for a sound reminiscent of the iconic unplugged performances made popular by MTV. The 6 tracks are full of raw emotion and offer the listener a more stripped back sound, as the powerful vocals rise over melodic acoustic guitars, and although unplugged, the songs still manage to sound massive on the EP. From the passionate sounding ‘Liar’, to the impressive sounding acoustic guitars on ‘Outta My Head’ and ‘Dead To Me, the EP is an excellent addition to their discography. CD’s can also be purchased at the various tour dates for the band in 2015.